It doesn’t matter how cool your Halloween party is this year – you could have all the best Jack-o’-lanterns, full size candy bars, spooky lawn ornaments, the works. But Batman won’t be there. Rocksteady and WB Games announced today, alongside a new teaser, that Batman: Arkham Knight is delayed until 2015. They’re not merciless, though. 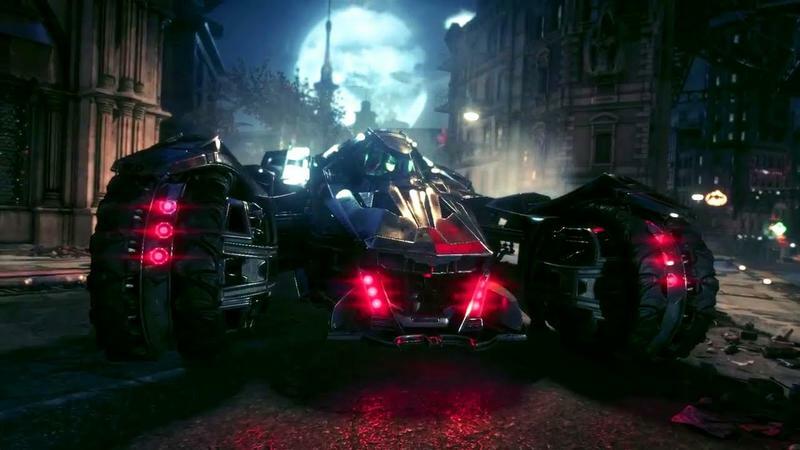 The teaser shows off the developer’s take on the iconic Batmobile, giving us something to chew on while we wait. This incarnation sports a 60mm cannon, an armor-piercing vulcan gun, a missile launcher, and a non-lethal riot suppression gun. Good thing he has that non-lethal weapon to make sure he doesn’t injure his foes long term. This fits his policy of making sure anyone he meets in hand-to-hand combat drinks through a straw for the rest of their lives. Rocksteady has promised to show off more of the game at E3 next week, so at least we have something to look forward to.